Google Chrome addon are one of the best to customize your browser as per you need. You can find lots of Google chrome addons, Google Chrome themes and apps in Google chrome web app store. With the help of these free Google chrome extension or addon you can do many things from yiur browser. A year ago we mention about some Facebook Grease monkey scripts which gives your the ability to make some change on your Facebook profile. Today again we come with the list of 5 Popular Facebook Google Chrome Addons You Must Try. With the following list of Facebook Google chrome extension you can make so many changes on your Facebook and browse the Facebook in much easier way. All the below mention addons are free to use and you can download all of them from the Google Chrome web store. So lets take a look of list of Popular Facebook Google Chrome Addons to make your things fun on Facebook. 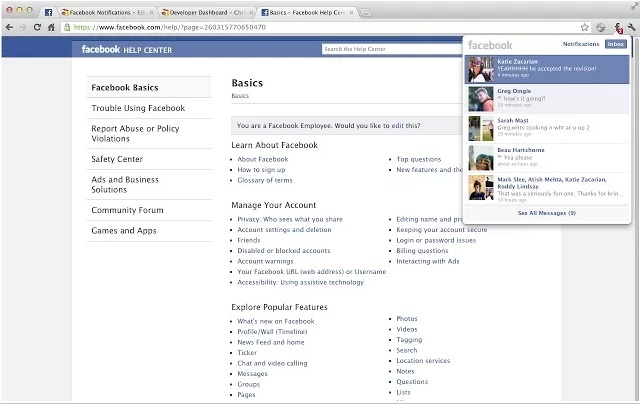 A nice extension to Customize & Tweak FaceBook With Better Facebook Addon. Available for all the popular browsers such as Firefox, Google Chrome, Opera and Safari. One of the easiest way to change the whole look of your Facebook page, You can change the color theme of your Facebook, tracking of new comments to old posts, hide Facebook ticker, Enlarge Thumbnails On Hover, Friend Tracker – Notification Of Un-Friends and more. Lots of third party Facebook cover maker application are available on the internet. But Facebook Cover Maker Google Chrome addon is different from all of them . To use this all you have to install the addon your browser and after that you can create Awesome Facebook cover page page with the help of this addon. No need to install any application on your PC to make cover page fro your Facebook profile. A nice addon to upload your image on Facebook quickly and easily, Just install the addon your Google Chrome browser after that all you have to Drag and Drop your images on the app screen to upload the images directly to your Facebook profile. Or right click on the image and select the Upload to Facebook option to upload the same image on your Facebook profile, no need to download that image on your desktop and than upload to your Facebook timeline. 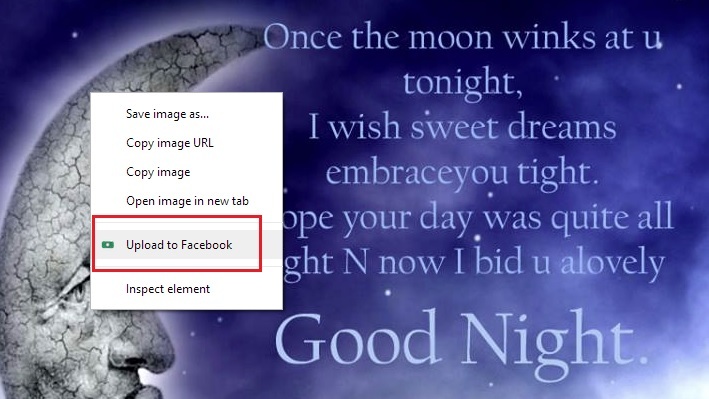 Why to open Facebook again and again for the update that you received on your timeline, with the help this Facebook Notification addon you can see all the notification on your Google Chrome browser toolbar. Every time when your receive any messages, any updates, or any other notification you can see the notification on your Google Chrome toolbar. Just click the notification and you can see all your message in a new pop up window. One of our favorite Google chrome addon for Facebook. 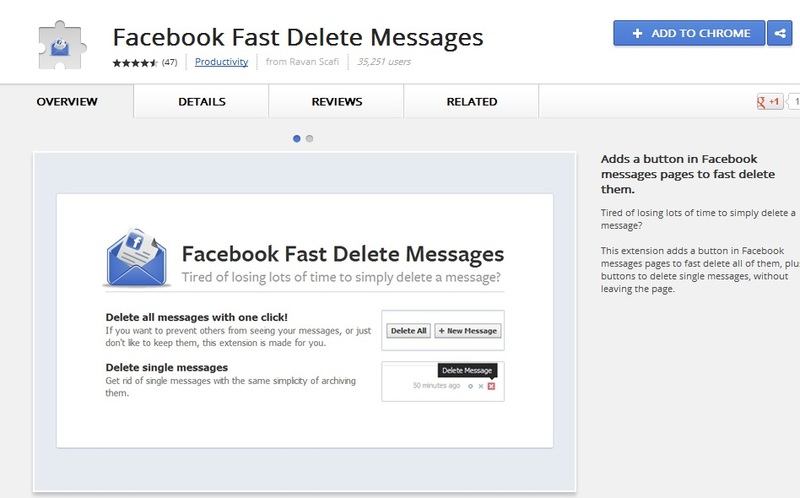 With the helps of this free addon you can delete all your Facebook messages in one click. No need to open each and single message on your Facebook and hit delete option, with this addon you delete them all with a single click. This extension adds a button in Facebook messages pages to fast delete all of them, a nice and fastest method deleted all message in bulk. Did we miss your favorite extension for Facebook? Feel free to add your two cents through the comments section. For more update Add our Google+ Page on your circles and Like our Facebook page here.